When you’re looking for investment property with low cash outlay promising big returns, look no further than the Owingsville, KY real estate that we have available. Owingsville, the seat of Bath County, is located in Eastern Kentucky. Located along I-64 in Cave Run Lake country, Owingsville is the gateway to the idyllic bluegrass region of Kentucky. For instance, take a look at this 1 bedroom, 2 bath home (shown above) on a spacious .75 acre lot with a detached garage and outbuilding – all for the asking price of $13,500! How many ways can we say “Act Fast On This Great Deal”? And there are others similar to it that are equally priced to move as property definitely worth investing in. Whether you live there yourself, purchase as rental property, or fix it up and sell it in a few years at a profit, it’s a win/win situation all around. For those looking for a ranch or a horse farm we have a nice assortment of those in Owingsville, too. The property shown above comes with a spacious home with formal dining room, fireplace, built-ins and a comfortable, welcoming front porch in a home that is private and offers a lot to new owners. There’s a pristine 36’x80’ horse barn with electricity, 9 stalls, wash rack and feed & tack rooms. 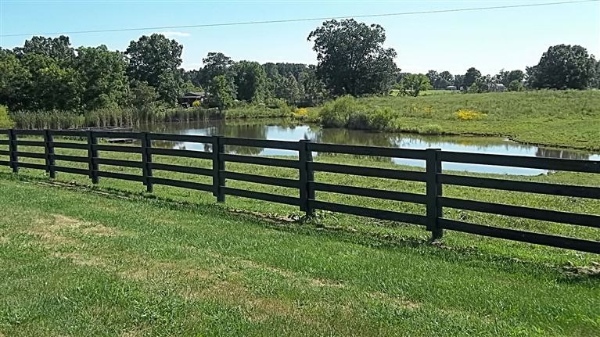 The included 23+/- acres are completely fenced and include a creek and a stocked pond with a dock. 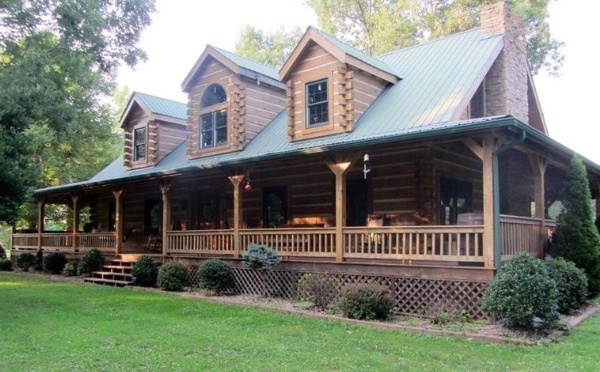 Take a look at this exceptional, hand hewn pine log home. Situated in a wooded setting on 20+/- acres just 5 miles from I-64, this home boasts an open floor plan, 24” vaulted ceilings, 2-3 bedrooms and 2.5 baths. You’re going to love the geothermal heating system, propane log fireplace and double insulated roof with an R48 rating. Flooring throughout consists of 5″ White Oak hardwood, 4″ American Cherry flooring and porcelain tile. Features like the Mahogany front and back doors, Emperies green marble kitchen countertops, Jenn-Air downdraft stove w/convection oven, white marble around the spa tub all come together to make this home special and unique. Out buildings include a 40 x 22 metal bldg. with heated office, a 50 x 40 metal bldg., a 3 bent barn w/3 bay shed on side. There’s a pond surrounded by beautiful landscaping and is fully fenced with several apple and peach trees to enjoy. 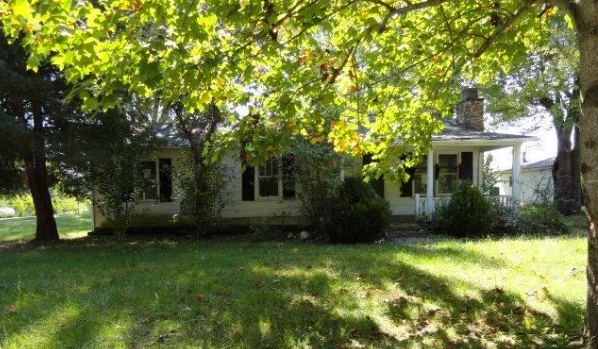 You can peruse the Owingsville, KY real estate we have right here on our web site. If you’d like to look at any properties close up, just get in touch with us and we’d be happy to take you around to see them. Until then, have a Happy Thanksgiving, from all of us at the Murphy Realty Group!